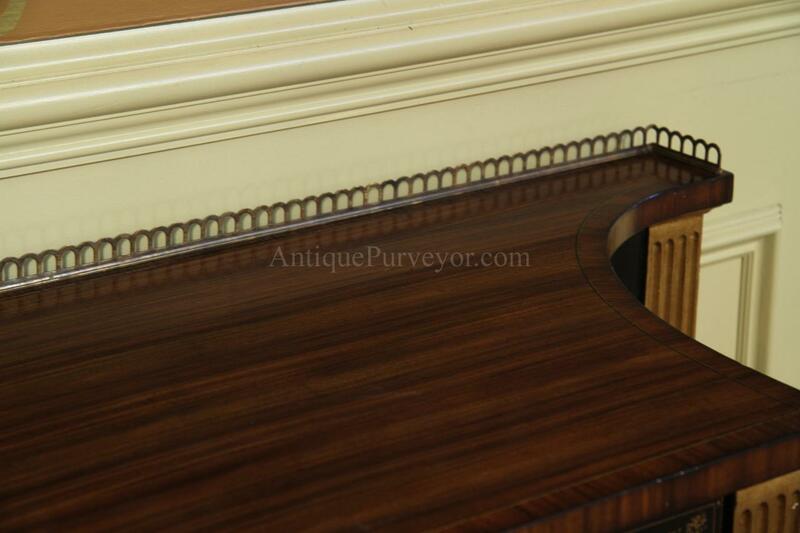 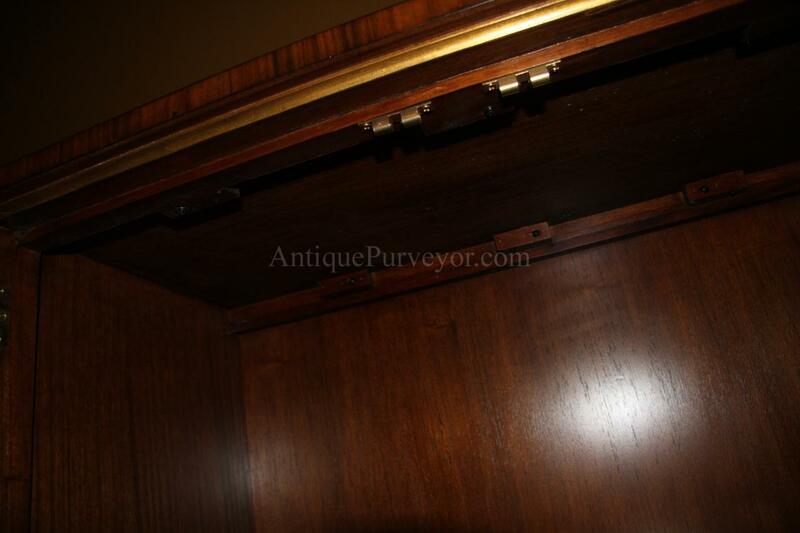 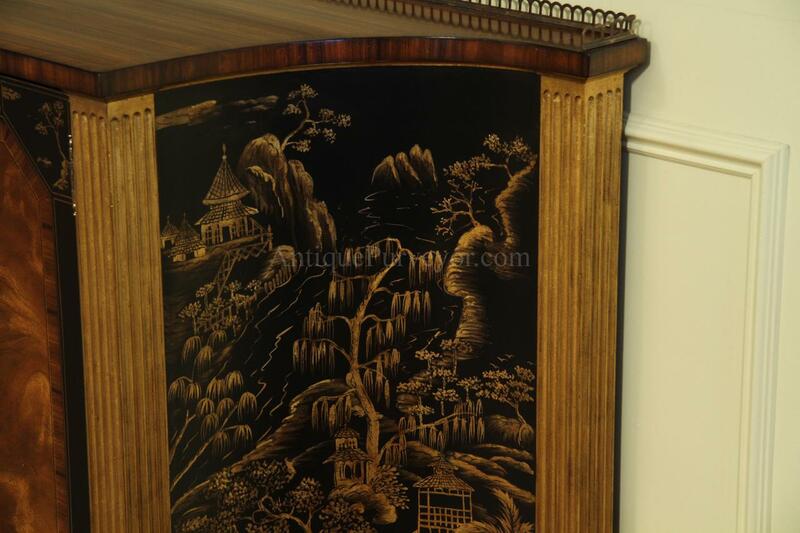 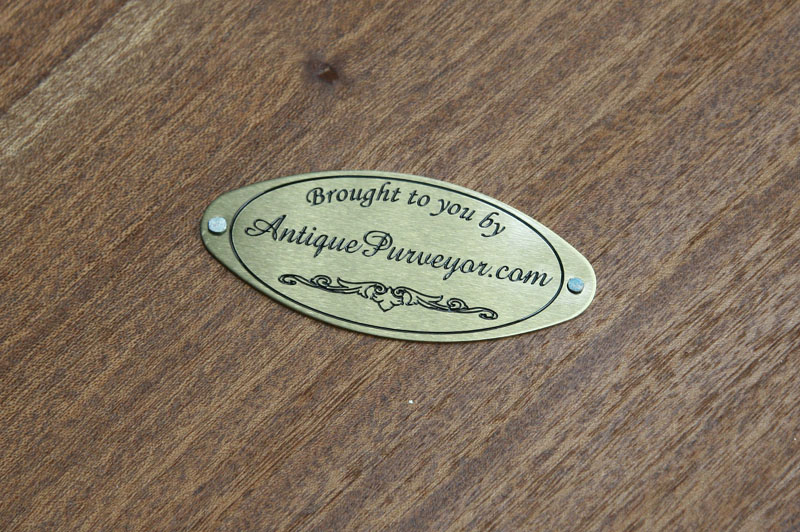 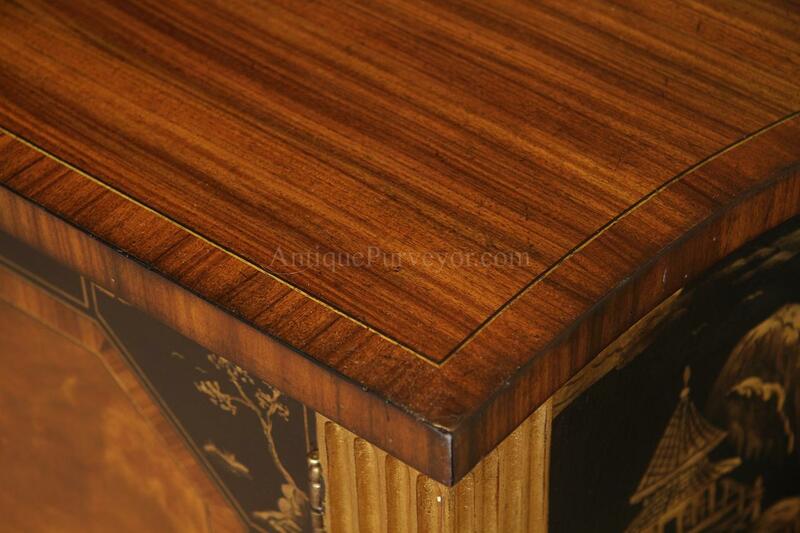 Description: High end, mahogany and rosewood server with shaped sides. 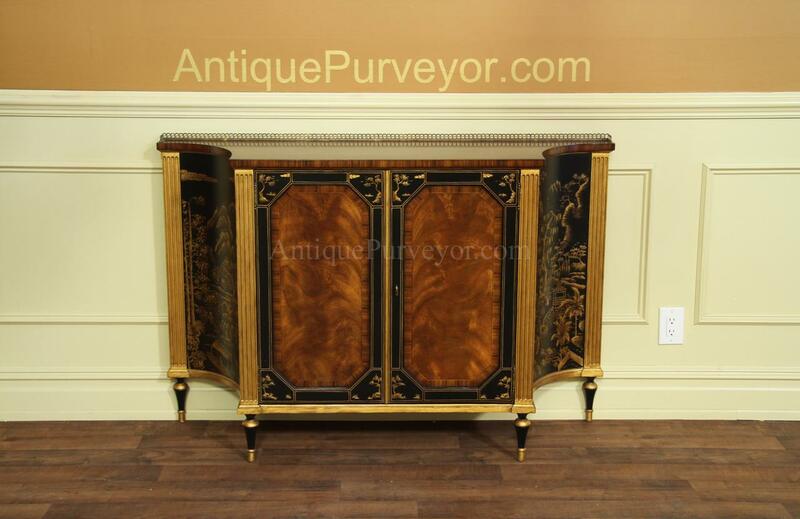 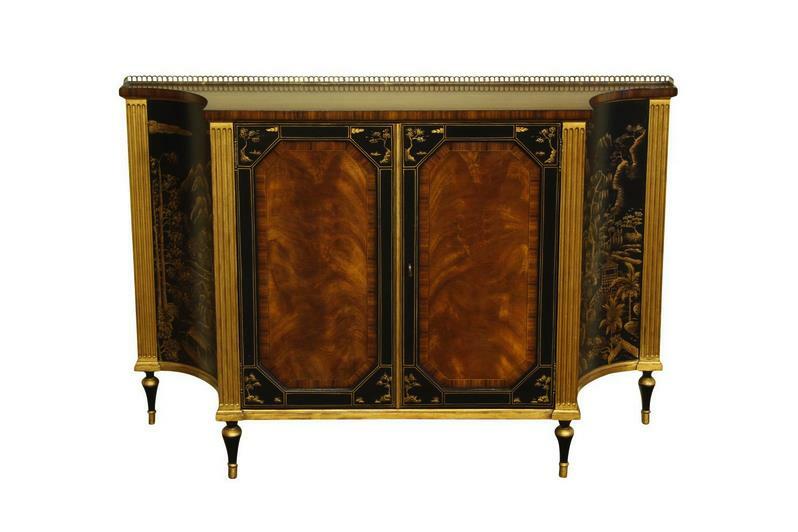 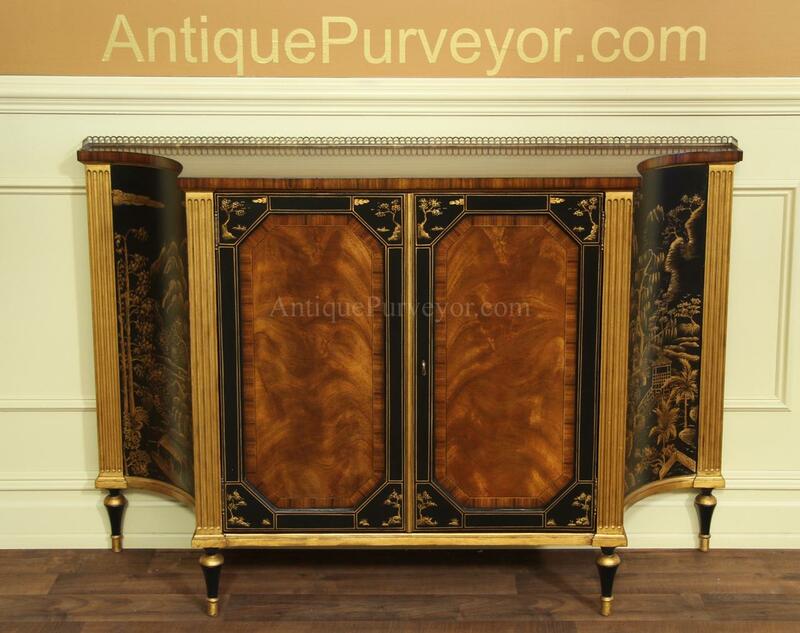 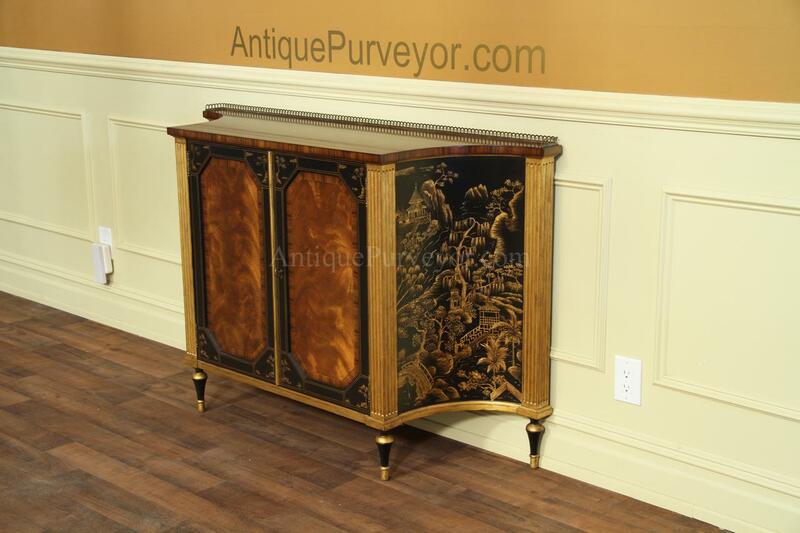 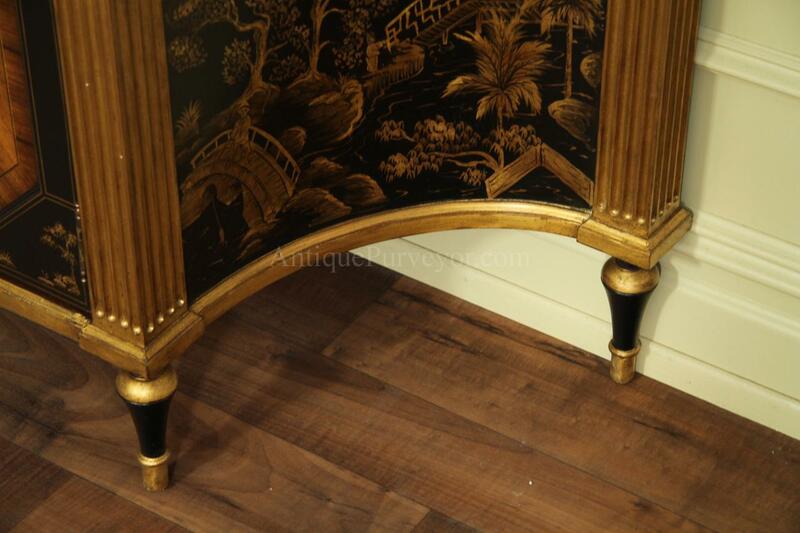 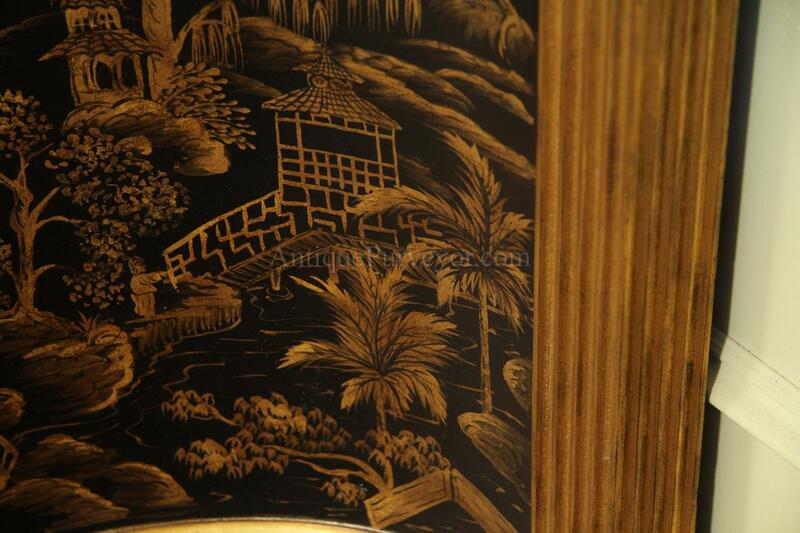 Fine gold gilded cabinet on Sheraton style legs. 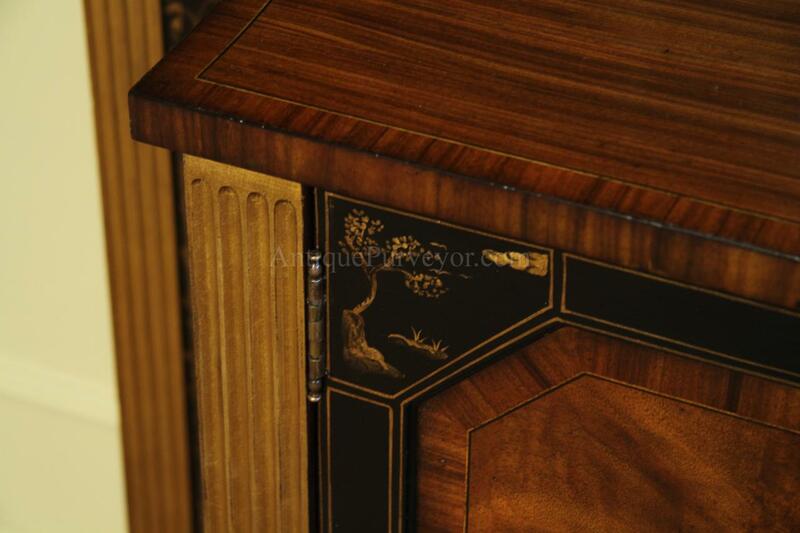 Top of cabinet has a scaled down brass gallery. 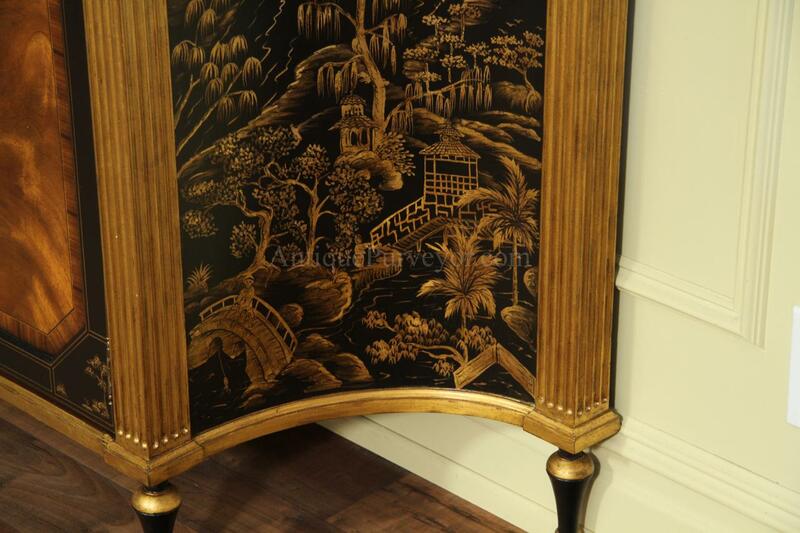 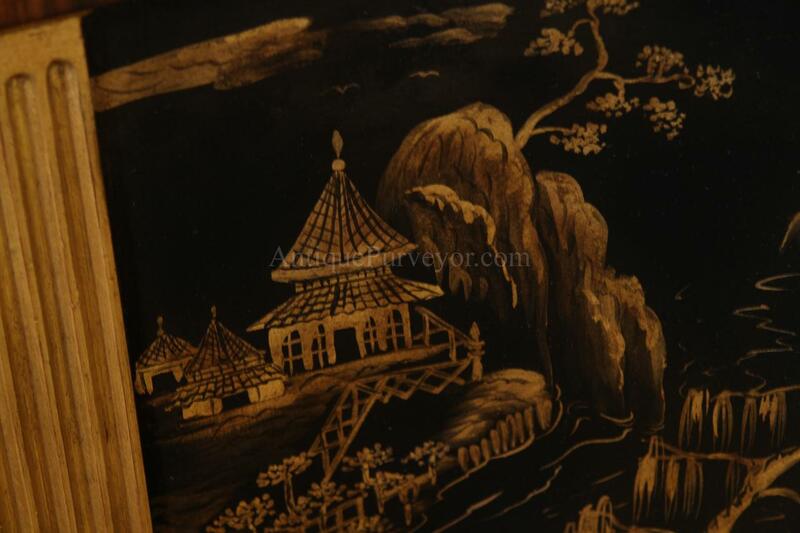 Great decorating item for a foyer or family room as well. 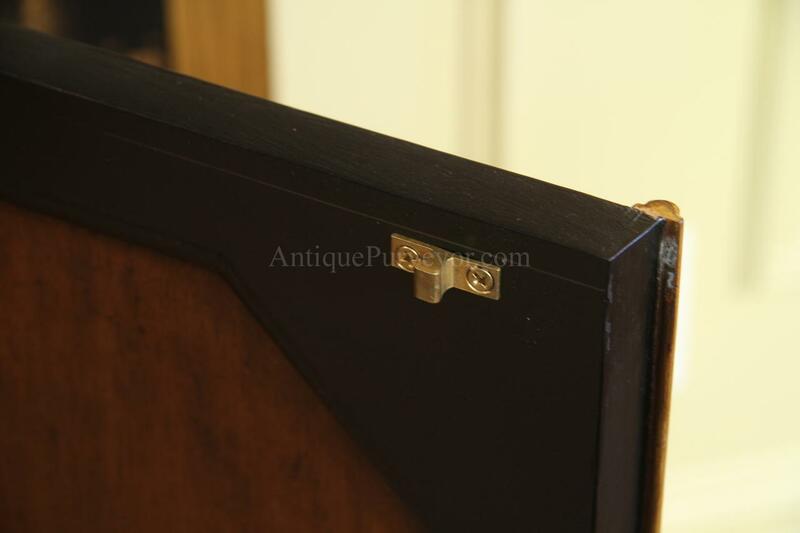 Fluted frame on left and right of center doors. 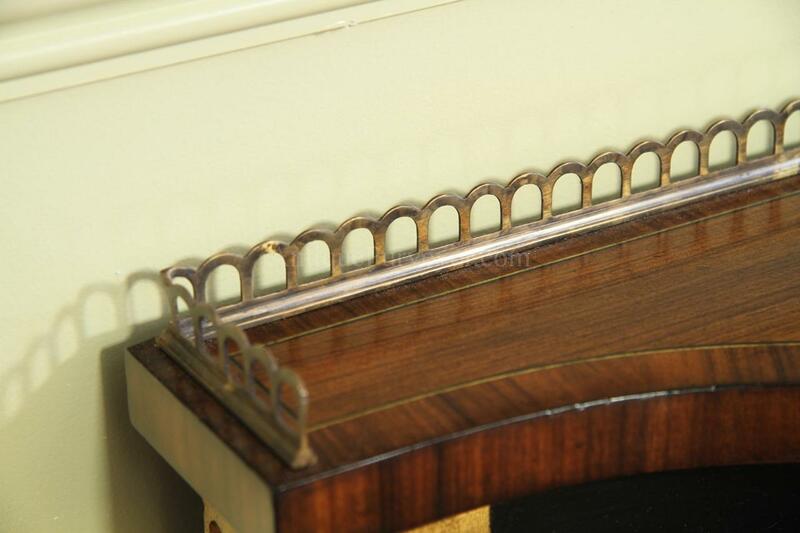 Brass hardware and substantial shelf. 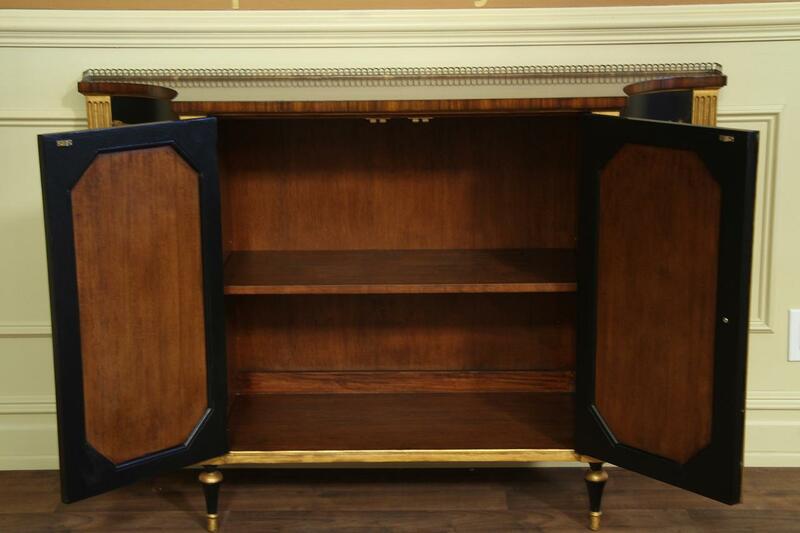 This cabinet weighs about 100 pounds, so it is pretty significant for its size. 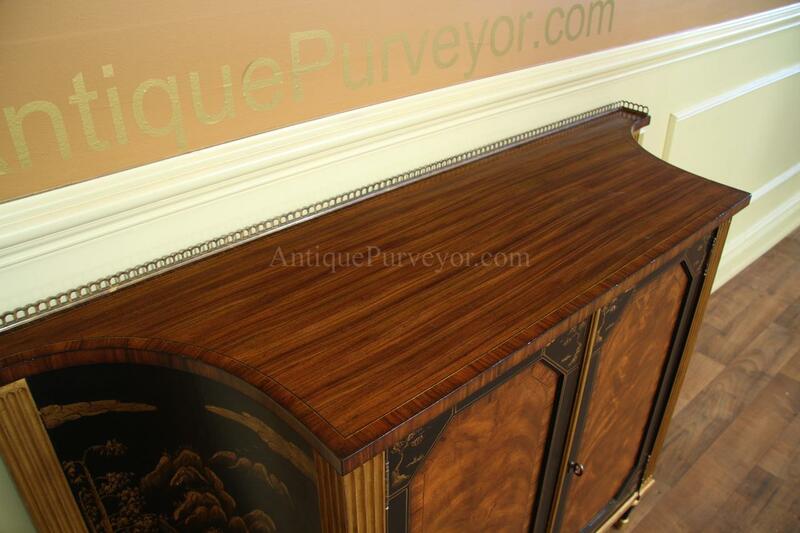 Well constructed cabinet with raised panel doors. 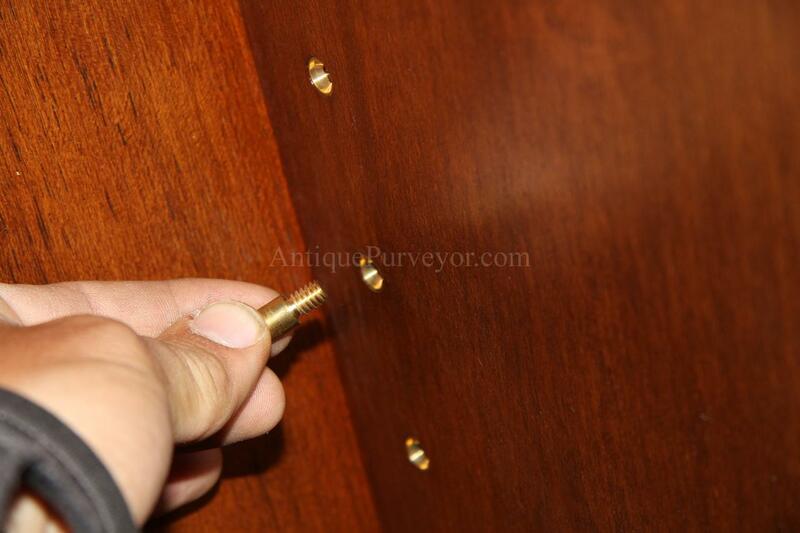 Brass shelf pins will give you three shelf settings with a screw in peg. 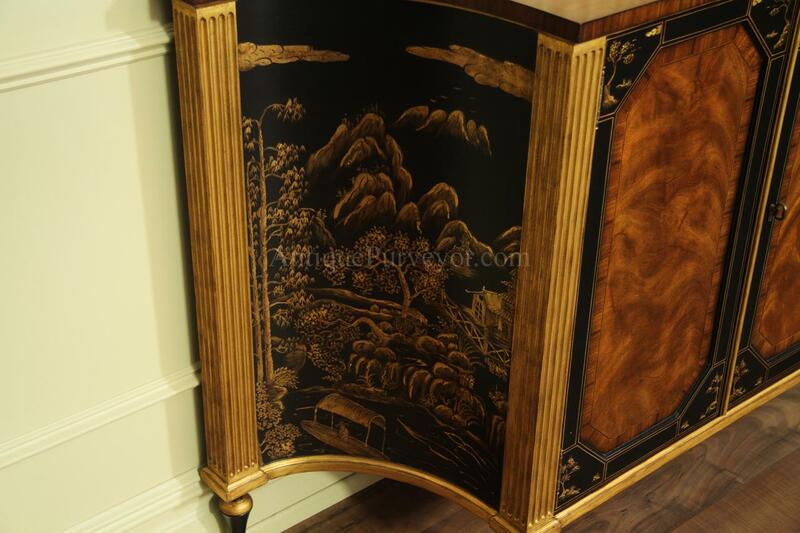 Great no-nonsense cabinet for the higher end home.